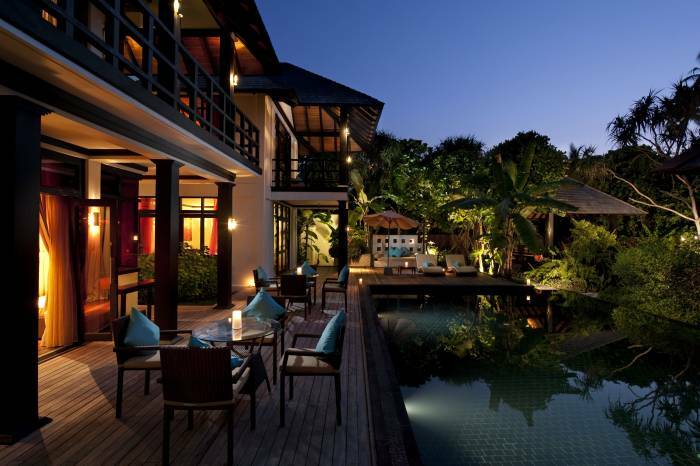 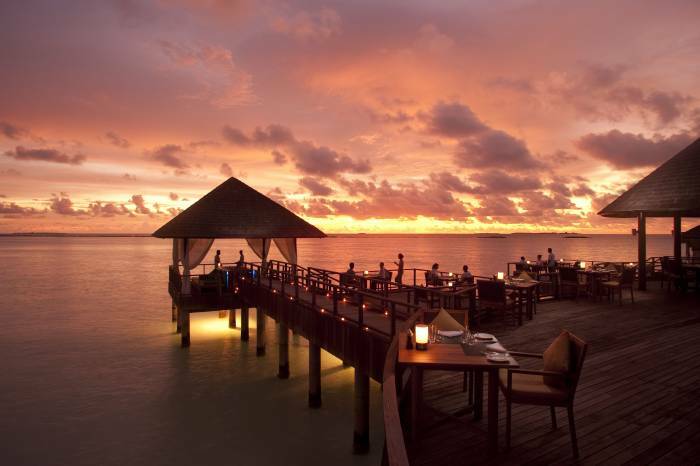 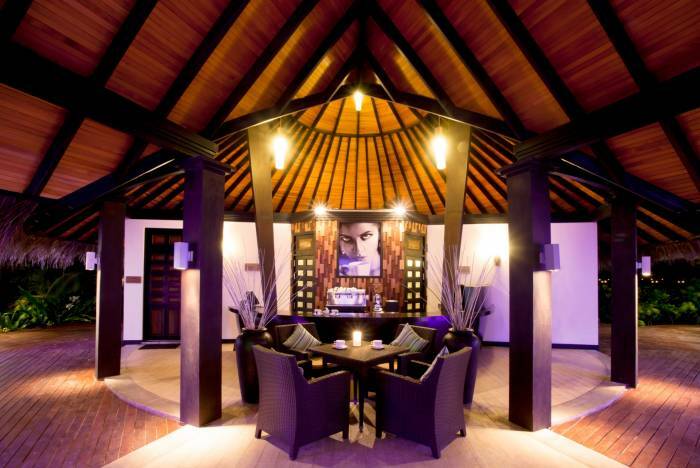 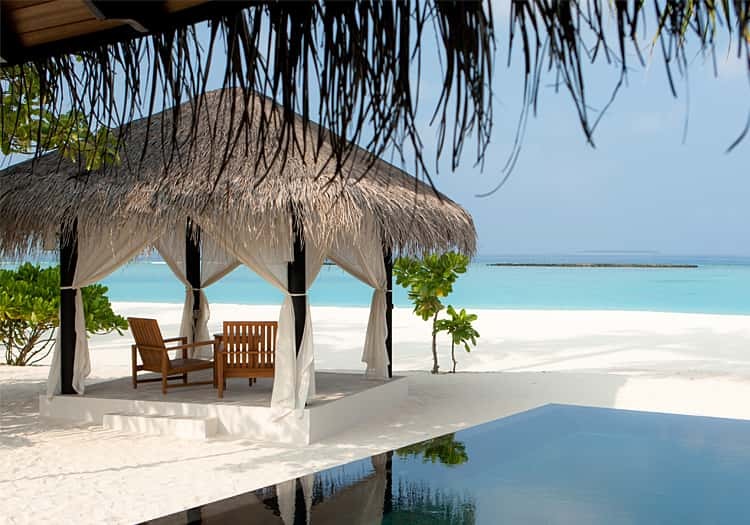 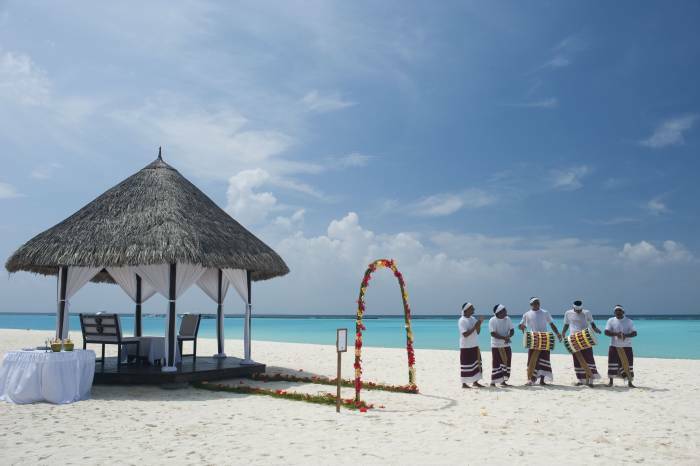 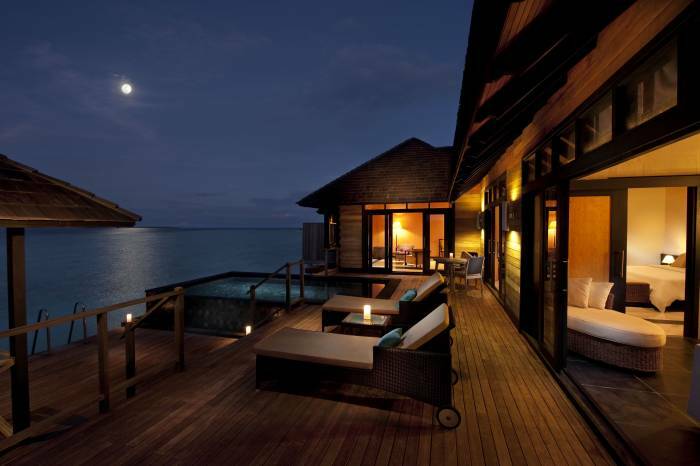 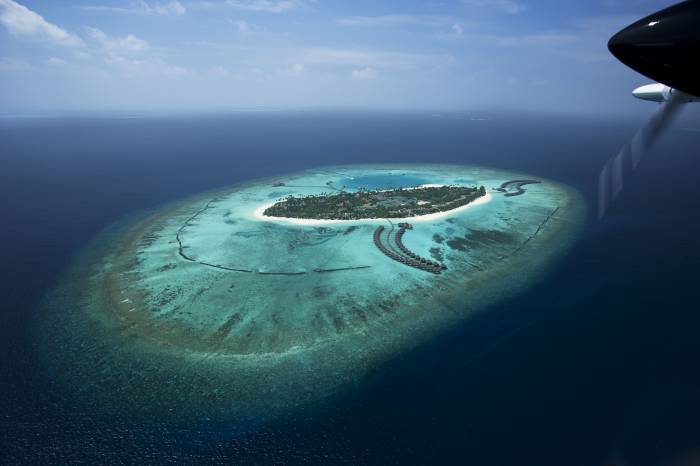 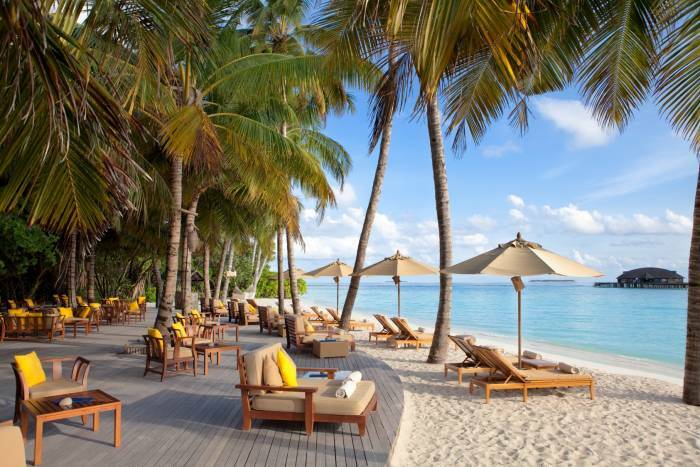 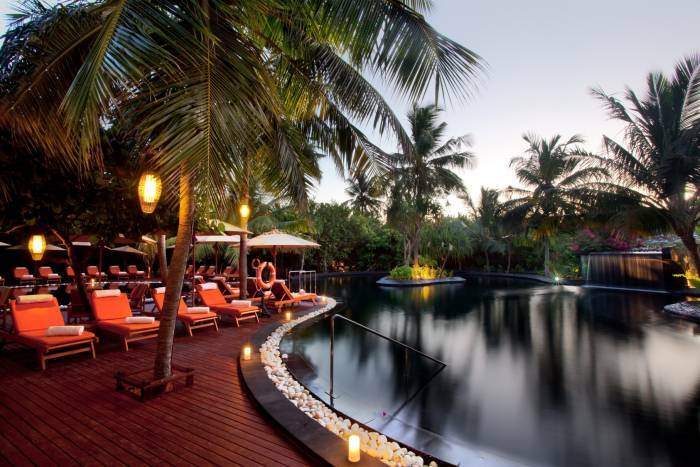 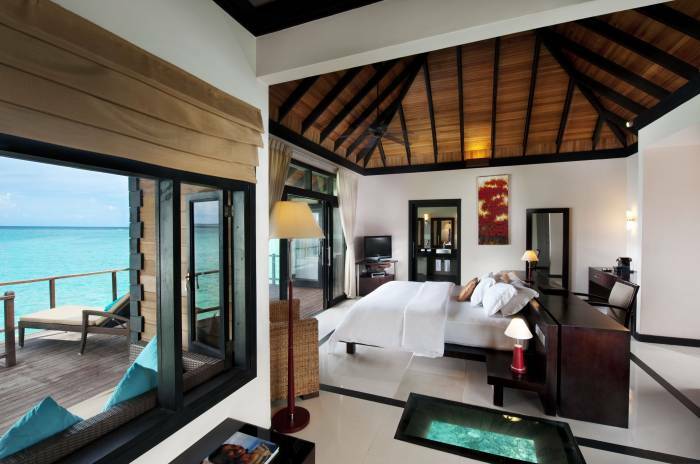 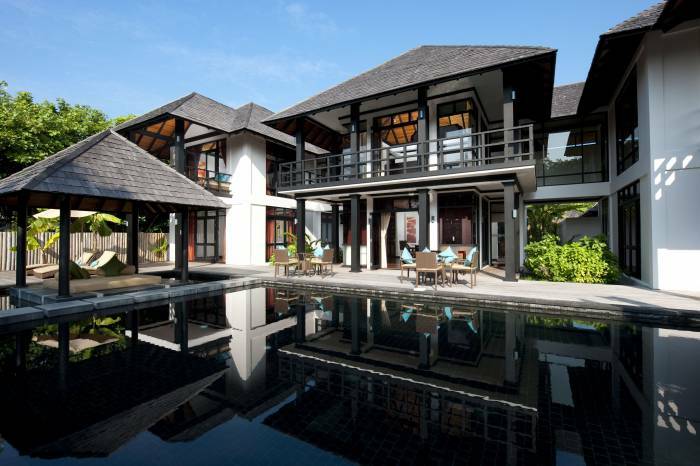 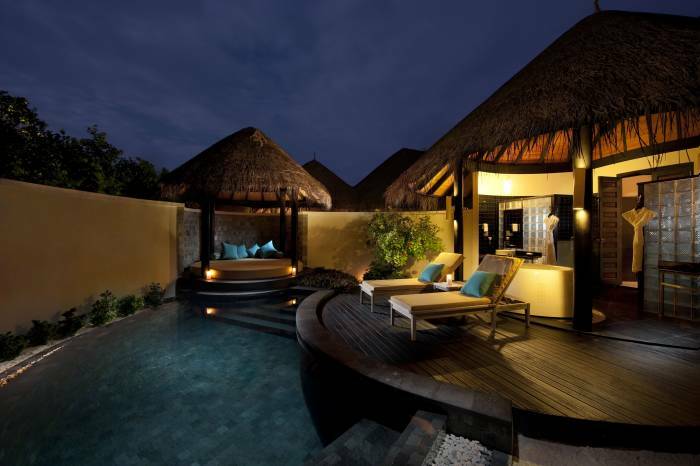 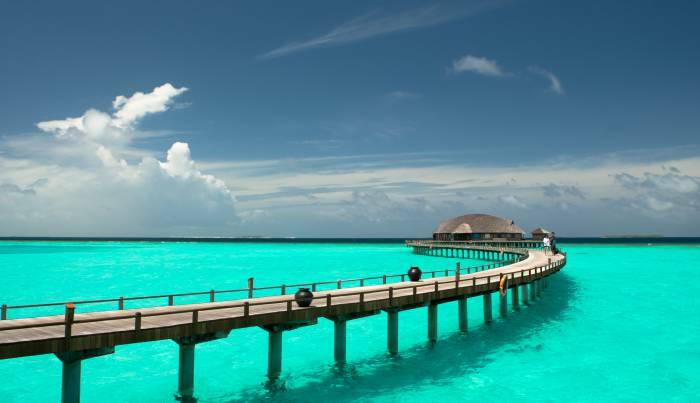 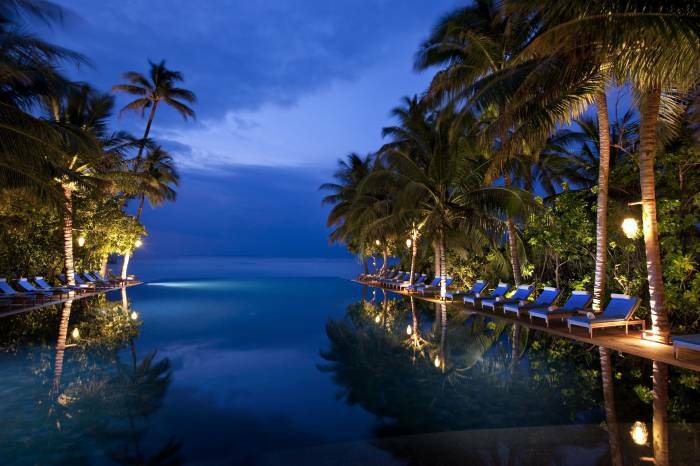 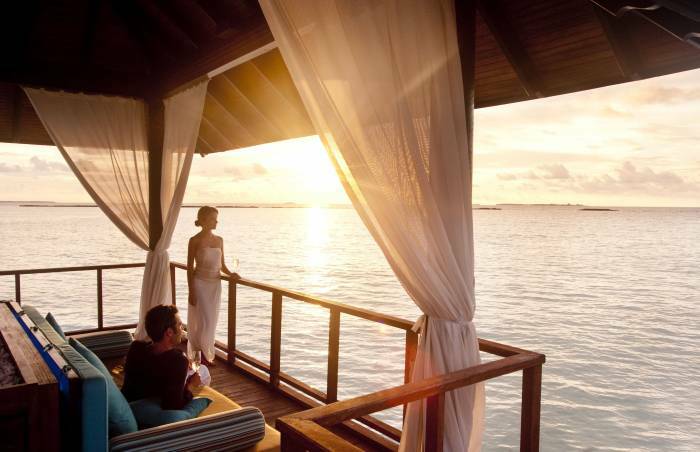 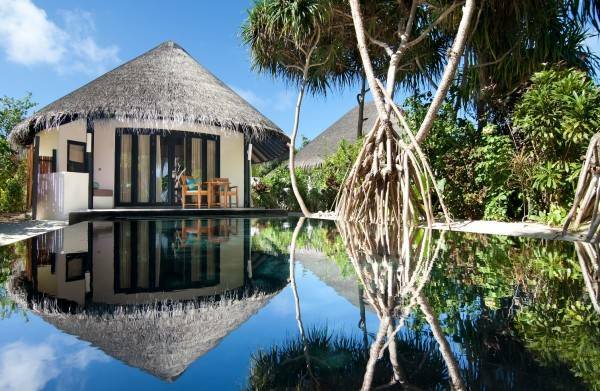 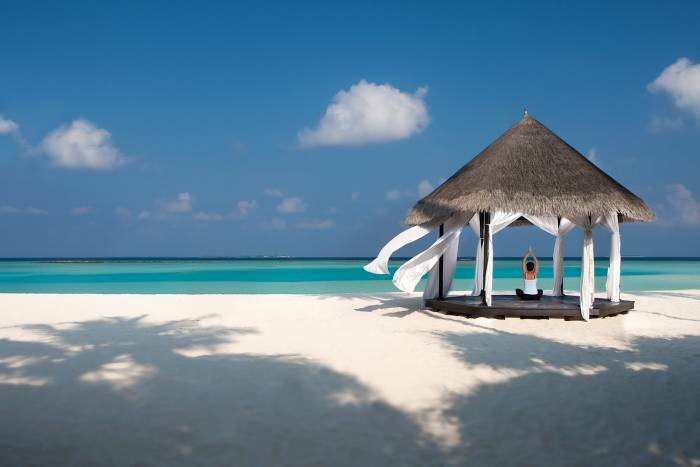 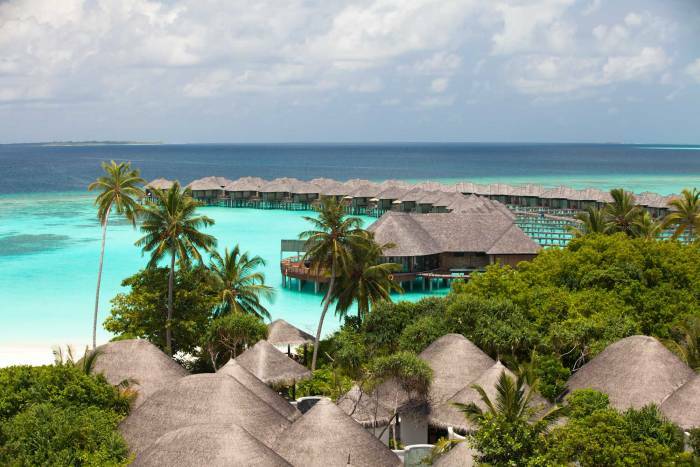 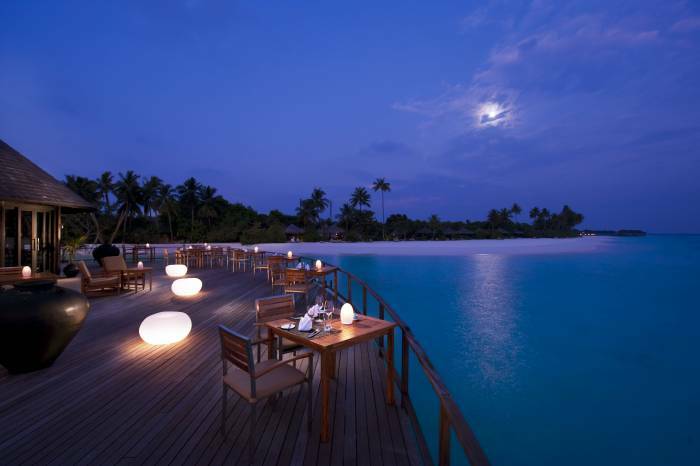 The Sun Siyam Iru Fushi offers Deluxe Beach Villas with Pool from USD$795/£520. 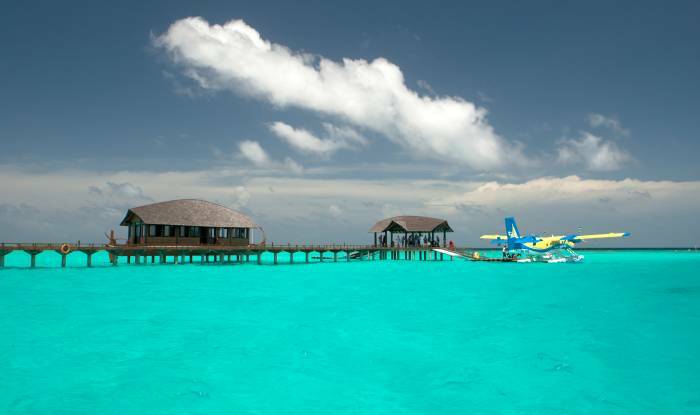 Located in the Noonu Atoll, a 45-minute seaplane journey from Male, the resort features 221 beautiful beachfront and over-water lagoon villas inspired by traditional Maldivian architecture. 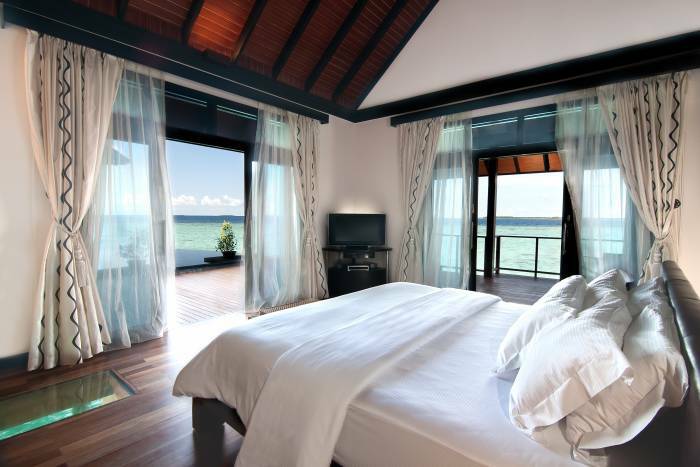 All rooms are equipped with the latest in-room amenities including 32” flat-screen TV and Bose home theatre systems. 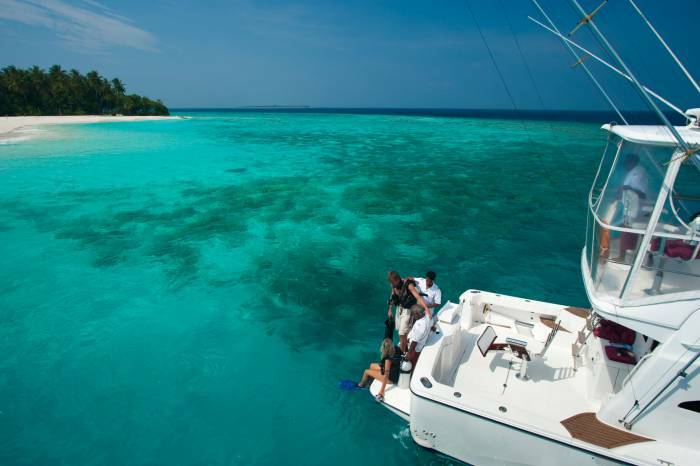 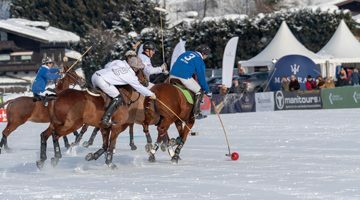 An unrivalled range of leisure activities and excursions include a fully-equipped PADI five star dive facility and a water sports centre, tennis and badminton courts, kids club and multiple swimming pools. 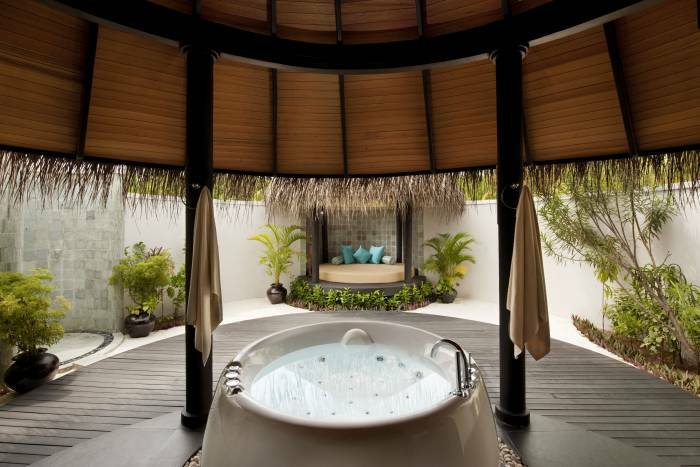 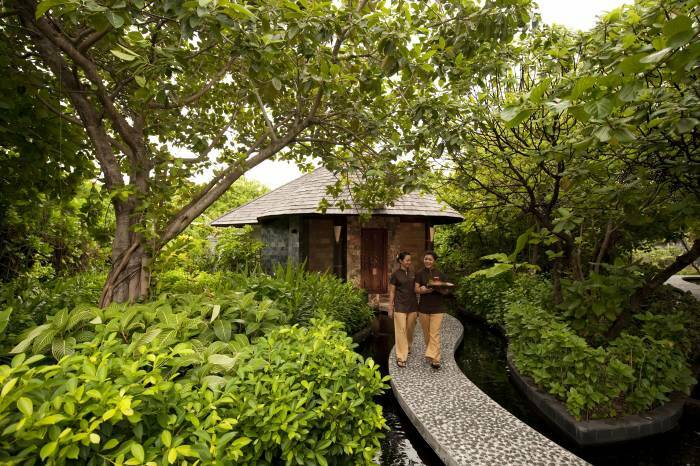 The tropical spa comprises 20 treatments rooms, each dedicated to a different Eastern or Western wellness philosophy for a wide range of health, relaxation and beauty options.